Many people are intended to make their business smarter. With wirelessly monitor of temperature and humidity, your business will be in high security. 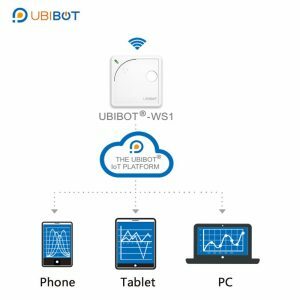 UbiBot WS1 integrates several sensors into one sleek enclosure. It can monitor temperature, humidity, ambient light and vibration. Industrial-grade sensor ensures the accurate results and long durability. Extra low power consumption allows 2 AA batteries to be used for up to 4-6 months with default 15 minutes sync interval. 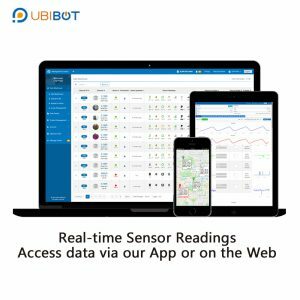 Under WiFi environment, all the sensing data are automatically synced to our platform and can be accessed via our mobile App or any browser. 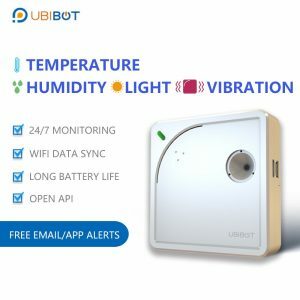 By using this device, you are able to monitor the condition that matters remotely and wirelessly. In some cases the WiFi is unavailable, you don’t have to worry at all! The device continues to collect data and store it in its large on-device memory. You are then able to manually sync the data via USB or WiFi AP. Therefore, there is no gap in the history record. We provide mobile App for you to check the real-time conditions. 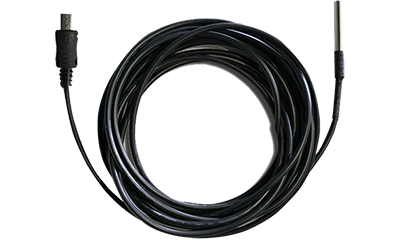 Download it on the Google Play Store or App Store(In case of this method fails, we upload the APK file at our website), then you are able to setup a device, view the measurements, receive out-of-range alerts and more. The sensor can monitor a wide range of temperature from -40 to 85 Celsius (-40 to 185 Fahrenheit). While, for the optimal device performance, we recommend you to use it within -20 to 60 Celsius. 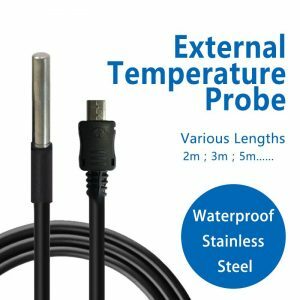 For utilization in extreme hot or cold conditions, you can purchase our external probe from our website. By using this smart sensing device, you will never have to worry about the damage cost by harsh environments.